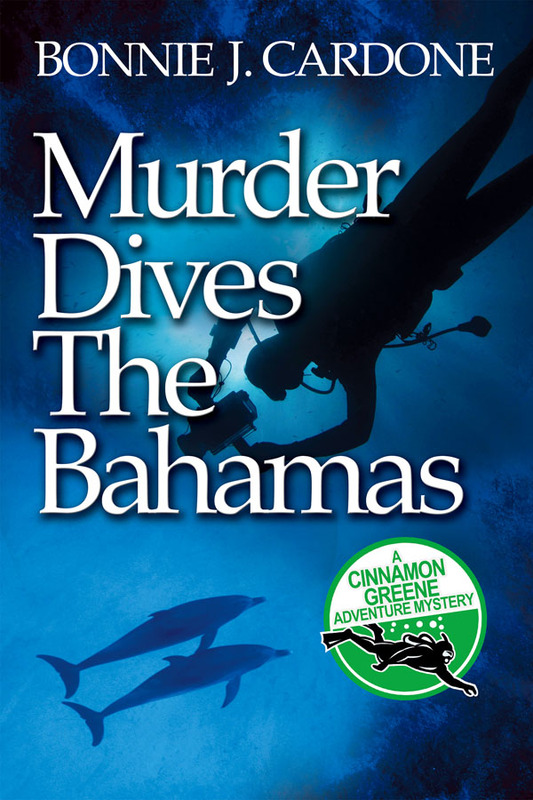 Fellow Guppy Chapter of Sisters in Crime member, Bonnie J. Cardone is the author of mystery novels and short mystery stories as well as a freelance photojournalist specializing in scuba diving and marine life. I’d be in Tahiti with James W. Hall, Clive Cussler and Nevada Barr. We would be staying in thatched roof huts built on stilts in a picturesque lagoon. All of our books have outdoor settings. Mine feature scuba diving, as do some of theirs. We would have a lot to talk about. 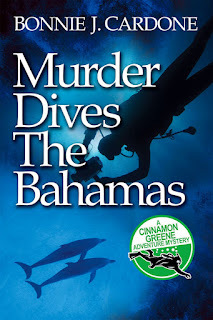 While I’m a newbie when it comes to writing novels, I’ve been a scuba diver for more than 40 years. While enjoying Tahiti’s warm clear waters I would imagine Cussler’s Dirk Pit, Hall’s Thorn and Barr’s Anna Pigeon diving with my own Cinnamon Greene. Just thinking about that makes me smile. Michael Connelly’s The Burning Room. I’ve read all of his books. When a new one comes out I can hardly wait to read it and find out what his characters are up to. Connelly’s plots always pass my intense scrutiny. His writing is the opposite of Sue Grafton’s. 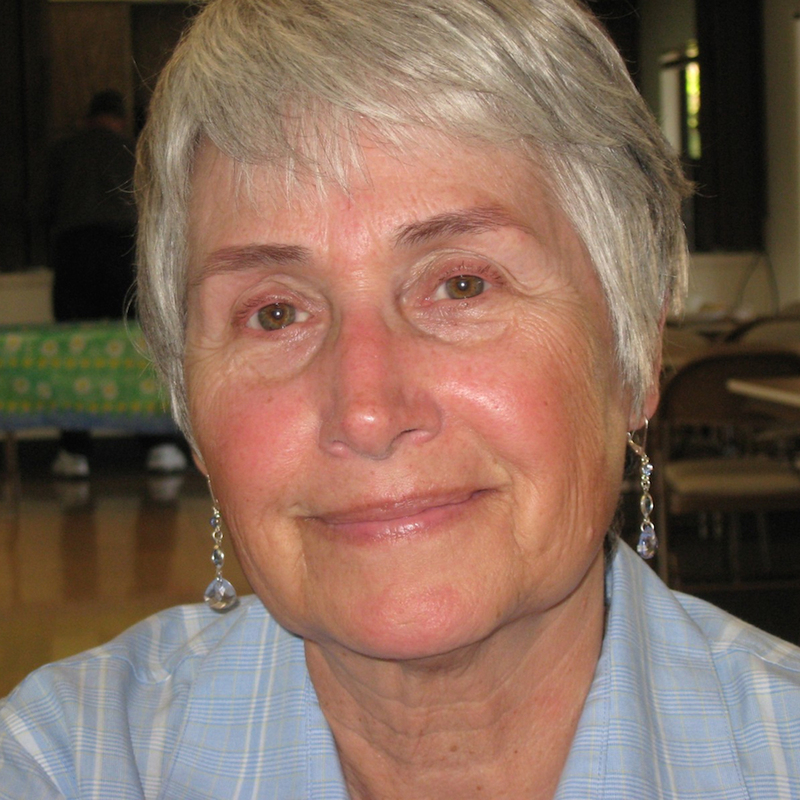 While her books describe everything, Connelly’s prose is sparse, leaving the reader to fill in the blanks. I’m most definitely a pantser. I have a basic plot in mind when I start out but the characters usually take over and I simply report what they do and why. A lot of times something I wrote earlier in the book informs something that, to my amazement, happens later. Although I always know who did it before I start, that sometimes changes along the way. Life is short. I no longer finish a book unless I am really enjoying it. Many times I stop reading because the protagonist has failed to interest me or the pace is sluggish. There’s the believability factor, too. If I like the characters and the plot I am willing to suspend disbelief about certain things. I’ll only go so far, however. And once I put a book down, I don’t pick it up again. I do read them. It is interesting to learn what people liked or didn’t like about them. Sometimes what they say makes me think about what I’m doing and whether I should change it. I do both, probably fairly equally. I add to descriptions and subtract from or eliminate wordy expositions. What really irritates me are the young female reporters on my favorite local TV news station. One of them starts almost every sentence with “Now….” I got so irritated one night that I complained via e-mail, something I have never done before. Laura Lipmann and Elizabeth Peters because I love spending time with their characters. Sue Grafton because she writes so visually that I can clearly see what her characters look like, where they are and what they are doing. My path to mystery novel publication was long, much longer and more difficult than I expected. There was a lot of interest in my first two novels yet I could not get an agent. Later, when I began submitting to small publishers, things went unbelievably awry. If there was a crack somewhere, my books fell into it. I began to think they would never be published. I took comfort in hearing what two highly successful writers had to say on the subject. Their first books didn’t sell right away. Their advice? “Never give up.” Thanks to Louise Penny and Jacqueline Winspear I kept on keeping on, finally making the difficult decision to self-publish three of my Cinnamon Greene books. 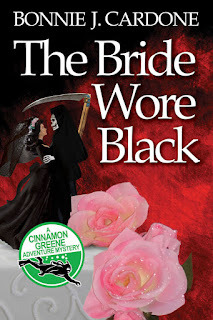 The Bride Wore Black is the first book in the Cinnamon Greene series. Set in a small town on California’s central coast, it revolves around the death of Cat Callahan on her wedding day. Beautiful, spoiled Cat had always gotten anything and anyone she wanted, leaving a string of broken relationships in her destructive wake. No one thinks her death is accidental and there are plenty of suspects. Early on, the police focus on two local women. Cinnamon Greene is not alone in thinking the cops are looking at the wrong people. 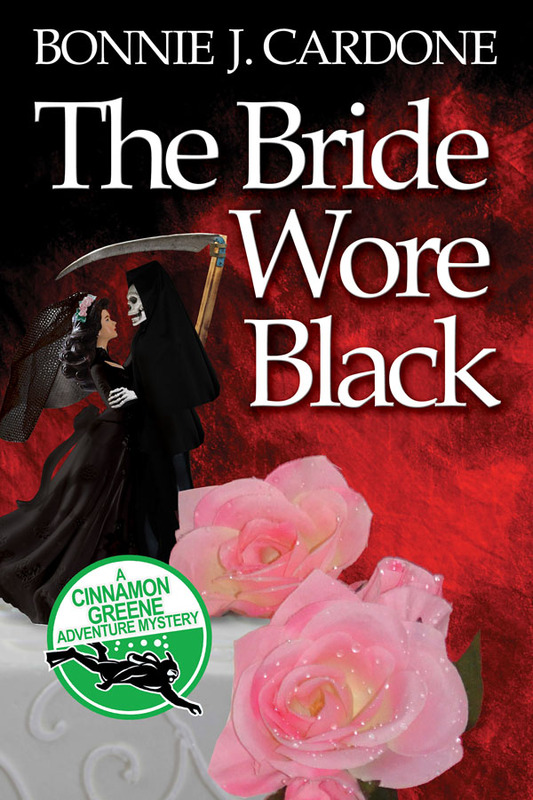 Her camera captured the bride’s last breath and she is drawn into the search for her killer. This proves a dangerous undertaking, however, leading to violent acts against Cinnamon that are nearly fatal.